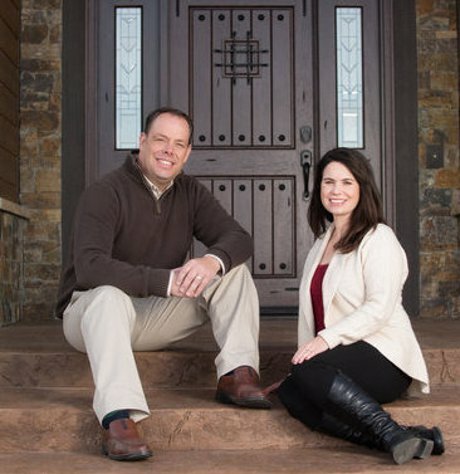 Dave & Reiné are full-time REALTORS® with Berkshire Hathaway HomeServices Montana Properties, working out of the Bozeman office. Specializing in residential real estate, Dave & Reine's focus is working with Buyers and Sellers throughout the greater Bozeman area. Berkshire Hathaway HomeServices Montana Properties has 16 offices throughout Montana and is the top producing real estate firm in both Bozeman and the State of Montana. As a top performing husband/wife real estate team with over 15 years of experience, Dave & Reiné utilize their extensive local real estate knowledge, exceptional negotiation skills and state of the art systems to consistently deliver value to the needs and goals of their real estate clients. 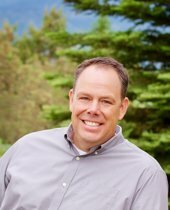 Exceeding client expectations and good old-fashioned hard work has made Dave a very sought after Bozeman REALTOR®. Whether he's working with buyers or sellers of local real estate, Dave's mission is to deliver remarkable results and provide extraordinary real estate experiences. Along with other advanced real estate credentials and awards, Dave has earned the Certified Residential Specialist - CRS Designation, a distinction only 4% of real estate agents in the nation have earned. Reiné has built a very successful real estate career by going above and beyond what her clients expect from their REALTOR®. Prior to starting a career in real estate , Reiné spent 5 years in the banking industry, giving her valuable insights into the world of lending. Reiné's core business belief is to be the most informed agent in the market place. This allows he to give her real estate clients the advantage they so deserve. Reiné has also earned the prestigious Certified Residential Specialist Designation - We know the Bozeman Real Estate Market, Contact US Today! For people who wish to live in the greatest town in the Rocky to start a successful business, raise a thriving family or simply enjoy an amazing quality of life, Bozeman, Montana is a clear choice. Renown for its breathtaking landscape, year round sports activities and first class amenities, Bozeman has its own unique lifestyle and livability. People who call Bozeman home treasure what is around them and know that it is their good fortune to live in such a vibrant community. From day to day and season to season you may find yourself hiking a trail in Sourdough Canyon in the morning, attending a performance of Shakespeare in the Park in the afternoon, and then catching an a late dinner at the Open Range Restaurant in the downtown. Graced by the presence of Montana State University, recently honored as one of the finer land grant universities in the nation, local residents can avail themselves of either traditional university classes of evening adult education and seminars. As well, Bozeman has a first rate school system with students achieving some of the highest test scores in the nation. A premier medical facility Bozeman Deaconess Hospital boasts a large, well trained staff with comprehensive resources at their disposal. Recreational activities abound from Yellowstone National Park to Bridger Bowl ski resort and so much more in between. Bozeman, Montana enjoys some of the finest powder skiing, blue ribbon fly fishing, biking and hiking in the country and it's all right out your back door or within an easy drive of town. Bozeman is both an epic outdoor play ground and a vibrant city with many amenities found in much larger cities. The Bozeman area is located near multiple world class rivers, a person could spend a lifetime exploring every riffle and bend of these waterways in search of the next Big Brown Trout. We have more than 2 decades of knowing and understanding the Bozeman, Montana Real Estate market, when the time is right contact us to be of assistance to you in your next real estate endeavor.